Popular as a stopover on the way to or from the ports, this small site merits a longer stay, being quiet, laid back and within easy reach of some of the Somme’s main attractions. With large, level pitches set on grass and clean, well-maintained facilities, it offers plenty for both couples and young families. Facilities such as pool, bar, restaurant and takeaway are located at the sister site – le Val de Trie – 500m away. Although there is no shop or bar, bread and croissants can be delivered to your pitch during high season. Children will enjoy meeting the hens, goats and rabbits on the mini farm, and the small fishing pond mean this is a fisherman's paradise. 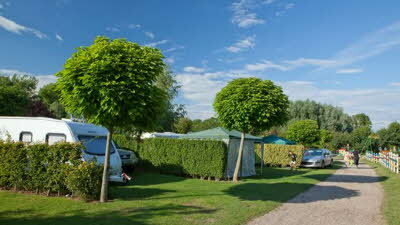 The site is 11km from the beautiful Baie de Somme, which has lovely sandy beaches. Le Crotoy is a pretty fishing village where boat trips and steam train rides can be taken, while those wishing to go further afield can explore Amiens with its impressive Gothic cathedral and World War I memorials. 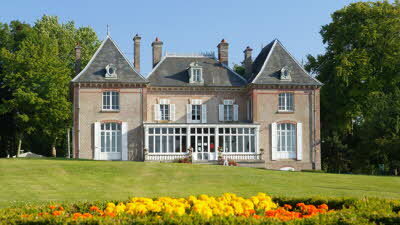 Abbeville, Château Royal d’Eu, Abbaye de Valloires, Saint Valéry, Amiens, Dieppe, Calais, Bay of the Somme, Golf, Cycling, Hiking, Horse riding, Bird watching. Exit the A28 at junction 2 on to the D925 signed Cambron. Take the D925 to Miannay and from there take the D86 signed Bouillancourt. 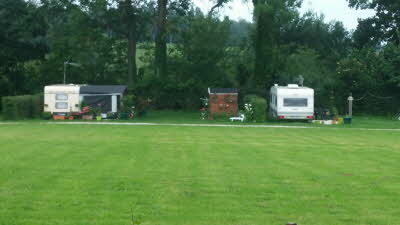 Site is situated on the right hand side in Boulliancourt. 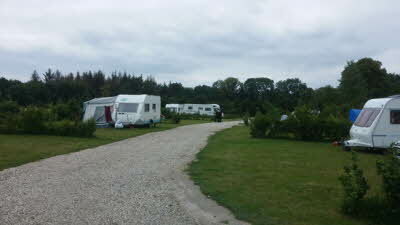 Val de Trie is a sister campsite of Cacheleux and is on the opposite side of the road, Val de Trie is signposted from the A28. We stop at Le Clos Cacheleux on our way back to the UK. It is close by to Abbeville where we get our dog sorted for home plus close to St Valery for the best Moules in Northern France 🇫🇷. It's just less than an hour to the Eurotunnel. The SP pitches are massive, flat and always have lush grass. Totally beautiful and so well looked after. Lots to do in the area to either start or finish your holiday. Lots of power and water. Very clean. Fully recommended. Thank you to the staff once again at Le Clos Cacheleux. This is a beautiful peaceful site with huge pitches. Suitable for couples as well as families. 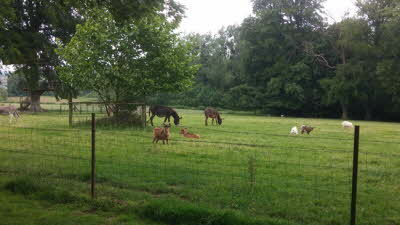 We loved the petting animals in the field next to the site, goats, sheep, donkeys and cows. It was lovely to see children feeding the animals and enjoying them. 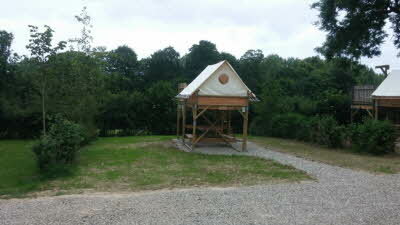 We stayed here overnight on our way to Normandy and were so impressed we booked to stay on the way back. We will definitely go again next year for a longer stay. We had beautiful freshly baked bread and croissants delivered to our caravan at 08.30 in the morning, fantastic. 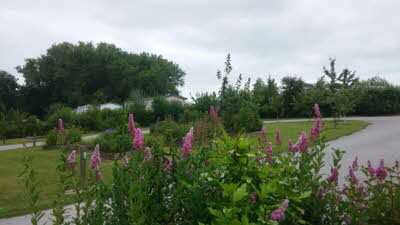 The site is a bio diversity site and very natural. 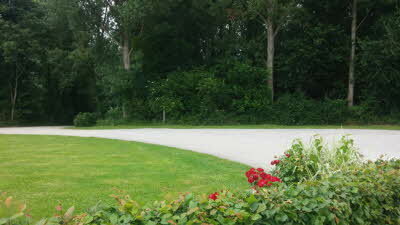 The immediate surroundings are beautiful, the mature trees and undulating countryside. The pitch we had was huge and we were surrouinded by nature, green woodpeckers, squirrels and at night the sound of owls hunting. 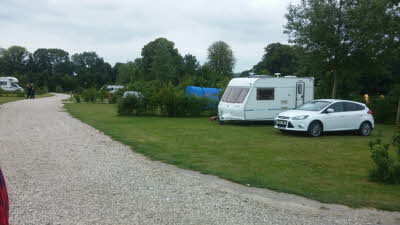 The staff were friendly and very helpful and the site is what it says on the tin. My wife and I loved and we can't recommend it highly enough. On holiday with friends also members who had been to this site previously. The site access drive is very steep and gravelled and I would not like to meet anyone coming the other way. On arrival at the site the staff very not at all helpful and informed that part of the site area was not being used (toilet block not in use). We were directed to part of the site where the pitches were very sloping and full of quite deep holes. 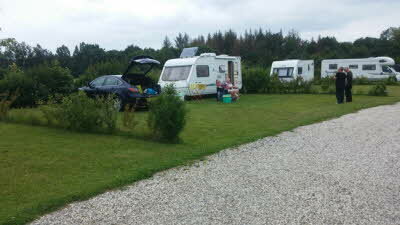 We with our friends had booked adjacent pitches. When we looked around the area that we had been directed to there were no adjacent pitches available. When our friends arrived they asked if they could go in the area that they had occupied on their previous stay and were told that it was closed. After they looked around and found that there were no good pitches available, went back to the office they were told reluctantly that they could pitch in the area that we had been told was closed. We moved from the area that we were setting up on and found that there were several pitches in the supposedly closed area available and settled on two adjacent pitches as we had booked. The pitch that we ended up with was of a reasonable size but the services connections were quite long runs. For our first morning we ordered bread and croissants which were delivered to our pitch. We ordered the same for the next day but they did not arrive. I walked down to the office to enquire but the receptionist was not interested and suggested that I could walk down to the adjacent site where I could get a baguette but no croissants. I got my money back. I didn't bother ordering any for the following day. The toilet block in the area where we were pitched had been de-commissioned for some time (taps and fittings removed). We were lucky that we had our own facilities as I think the other toilet block would struggle to serve all the pitches. The security barriers were not in use whilst we were there. The site appeared quite run down and not very well maintained. This is not a site that we will be visiting again. Really didn't like this site at all - unkempt farmyard entrance, huge pitches but very lumpy and overgrown. Very hard to find where the services were on each pitch. Signs up on several pitches saying that, for biodiversity reasons, the grass had been left to grow long but it gave us the distinct impression that it was to save on maintenance. Had a general feeling that he site wasn't cared for. Toilet/shower facilities (mixed) reeked of a stale/sour water odour. Birds were flying around the building rafters and as a result there were bird droppings over the floor - yuck. For once I showered in our motorhome! Definitely will not be back.